Cinnamon is one of the oldest spices known. 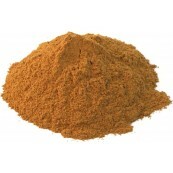 Cinnamon has an exotic, sugary aroma and sweet taste. It is used to enhance the flavors of sweet and savory dishes.